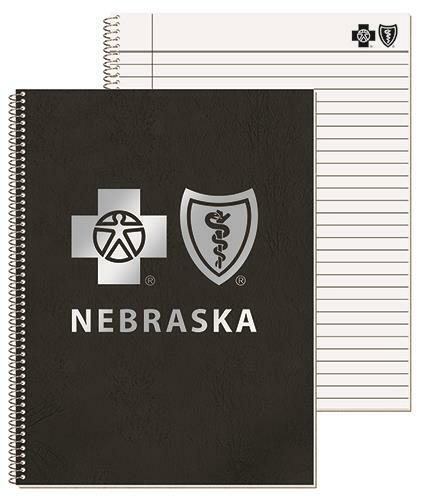 main > Flex Leatherette Notebooks 8 3/16" x 10 7/8"
Flex composition notebook with logo on every sheet. 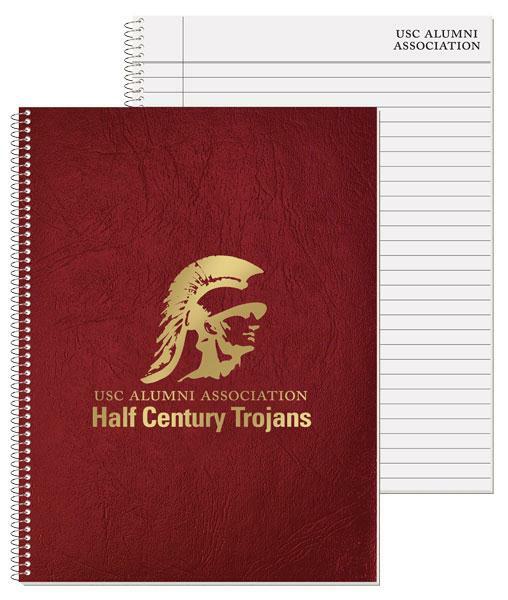 Foil stamp your logo on the leatherette cover of this composition notebook for an elegant promo. Notebook has square corners. 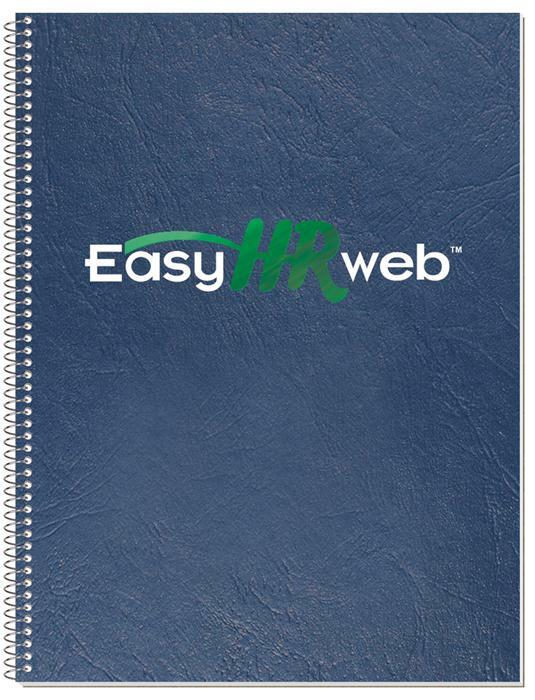 40 sheets inside, 20 lb. white bound, with rules and logo printed one side/one standard color on each sheet. A simple, clean and classic looking item that will get you noticed.